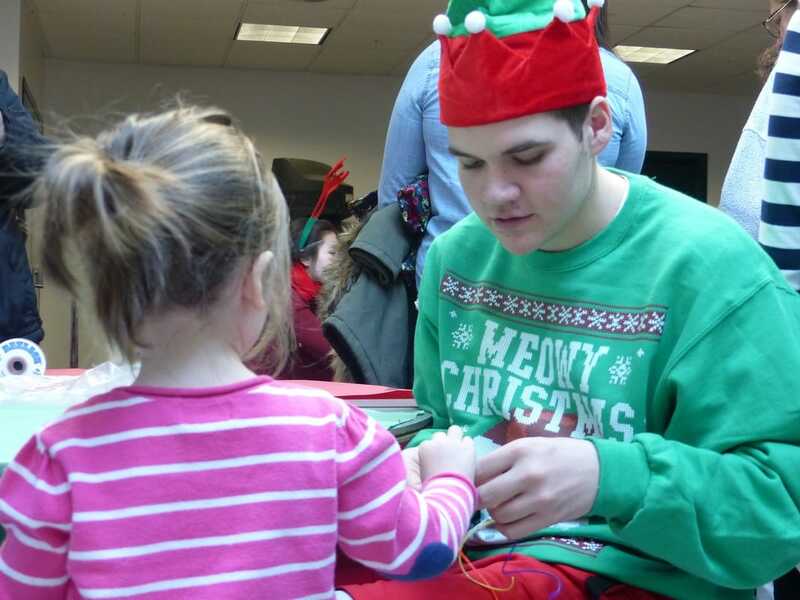 For as long as anyone can remember, Project Graduation has been holding its annual Breakfast with Santa for local children and their parents. 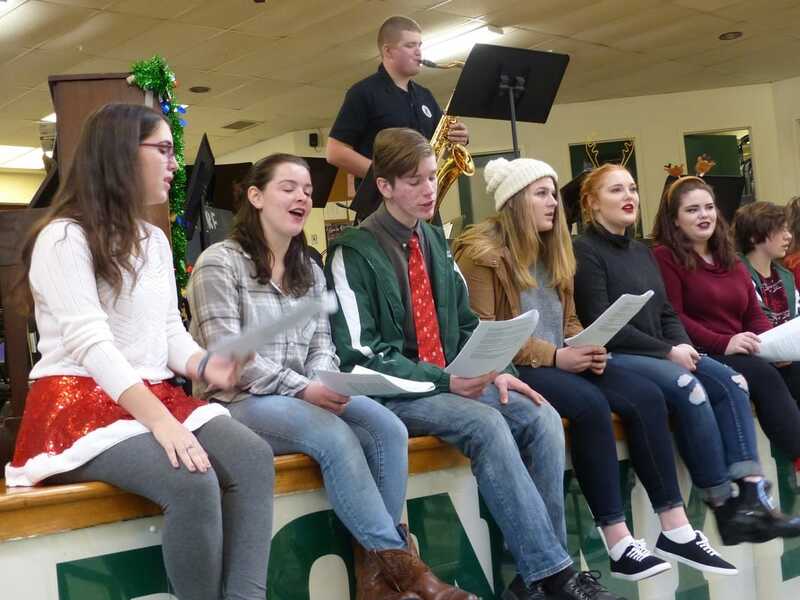 This year’s event on Dec. 10 featured more than a dozen “elves” (members of the senior class) leading children in craft-making and face-painting activities. 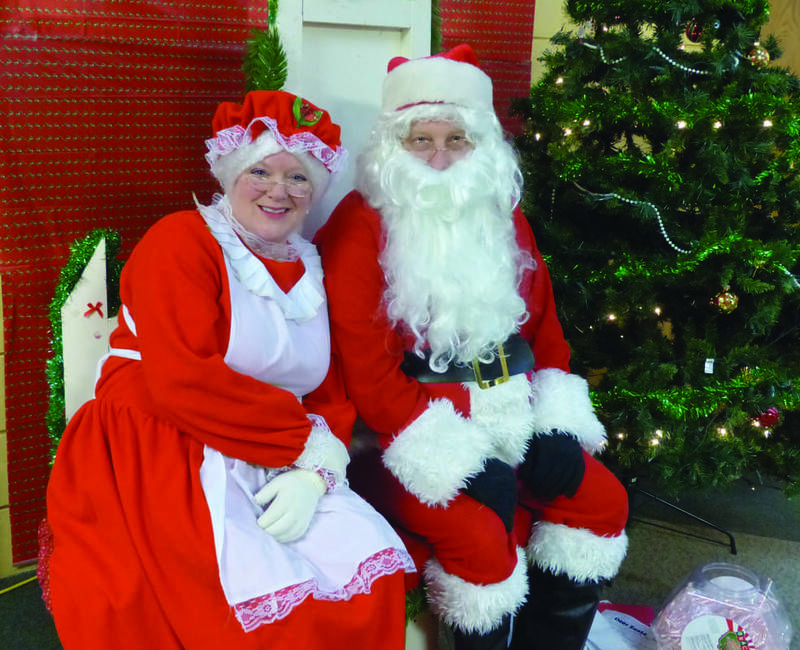 Mr. and Mrs. Claus also made an appearance, taking orders outside the cafeteria while parents and children ate pancakes and listened to the BEHS select chorus sing their renditions of many standard Christmas classics. 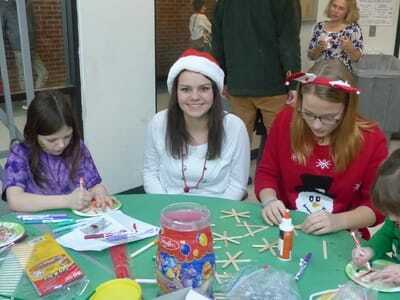 Project Grad raised more than $1,500 this year. 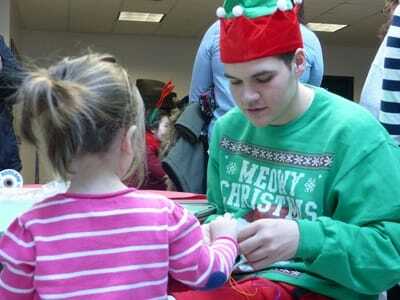 More importantly, they spread good cheer to all the little girls and boys who attended. 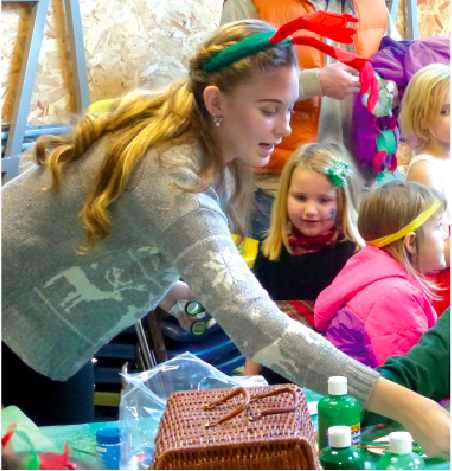 (Above) Senior Bella Tardy, pretending to be one of Santa's elves, keeps children entertained. 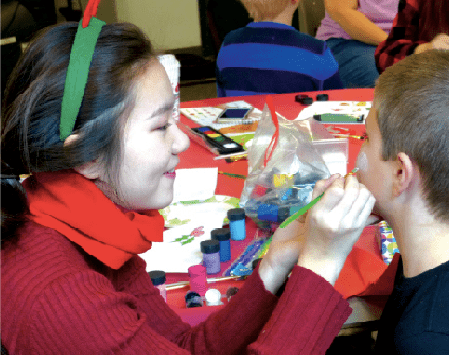 (At left) Senior CiCi Deakin applies face paint to a boy who attended the event.